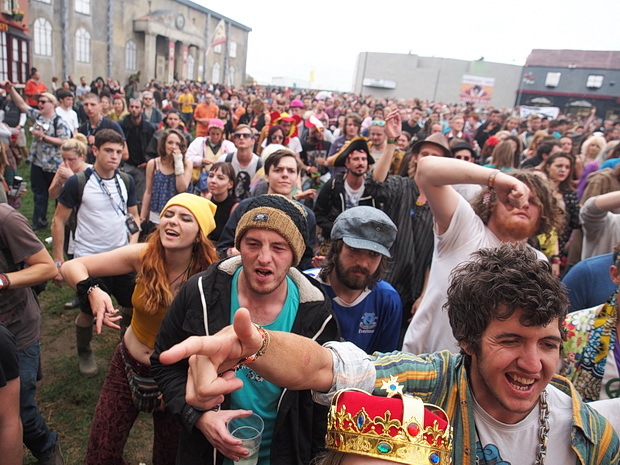 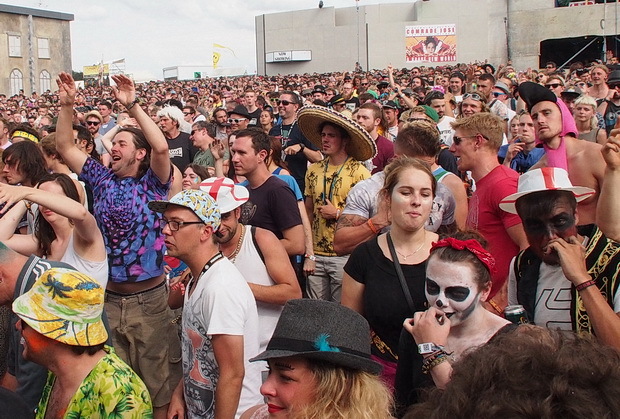 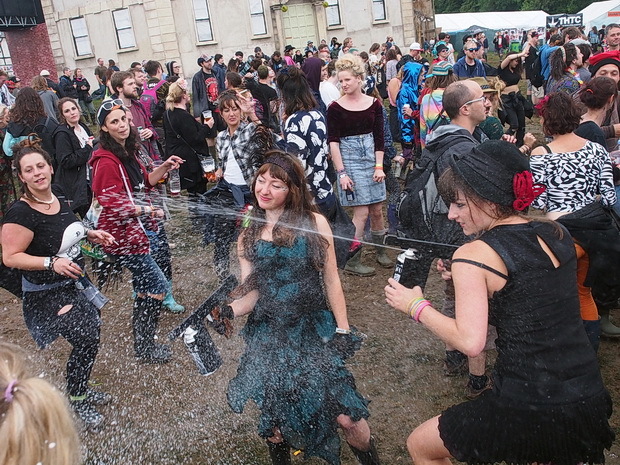 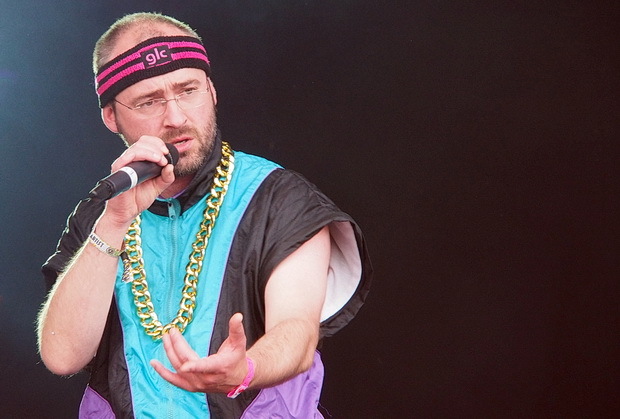 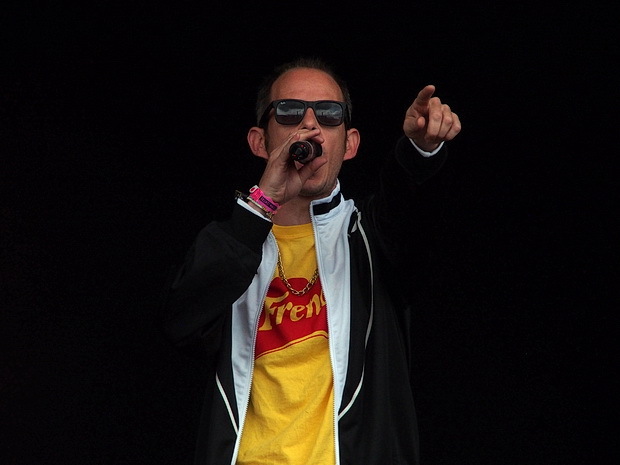 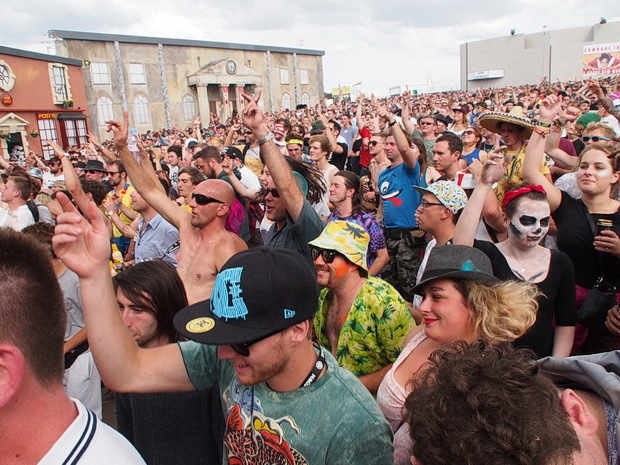 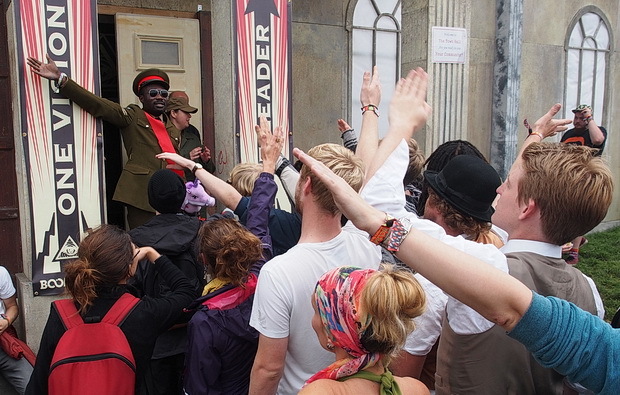 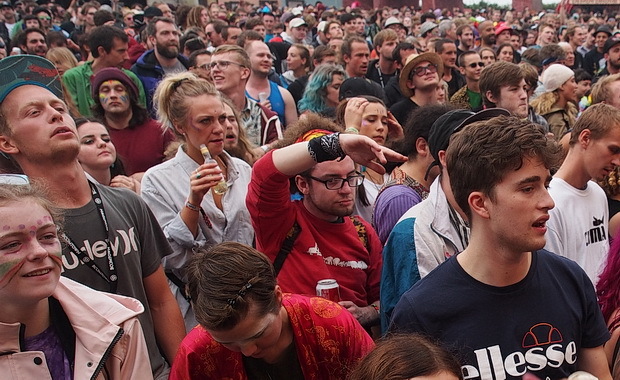 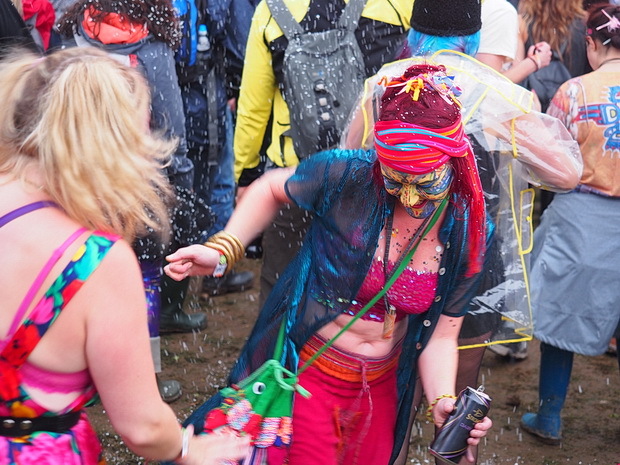 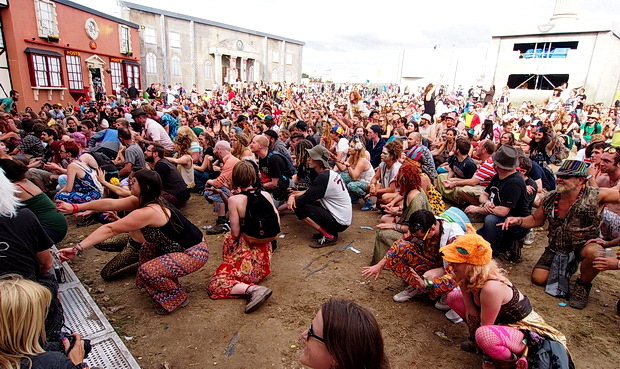 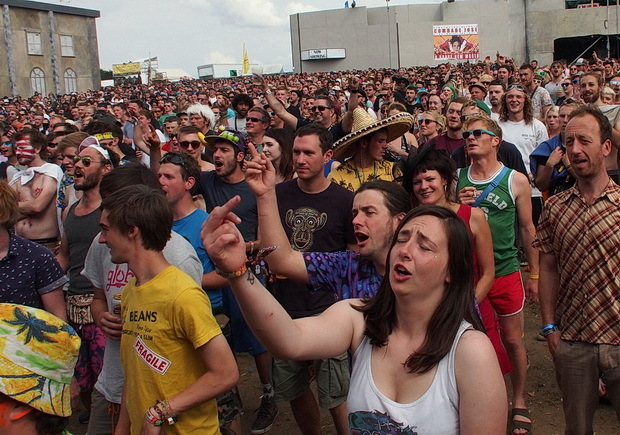 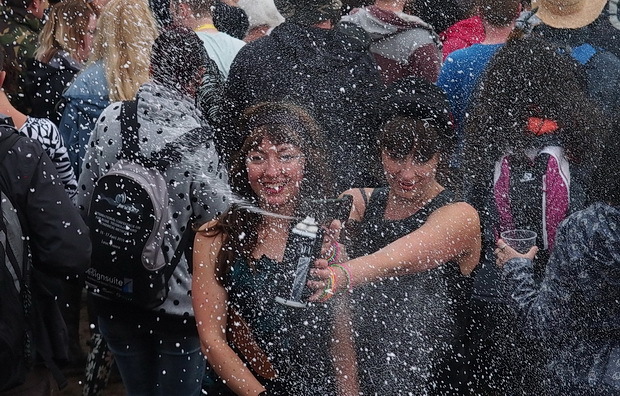 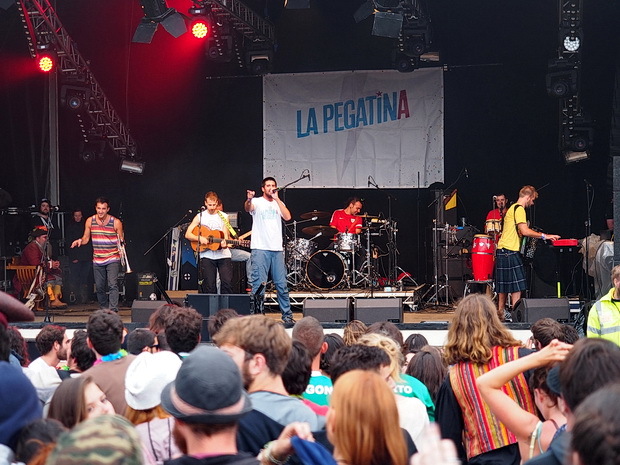 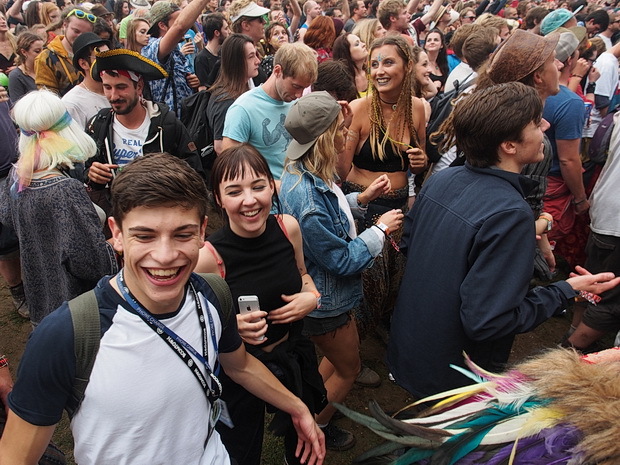 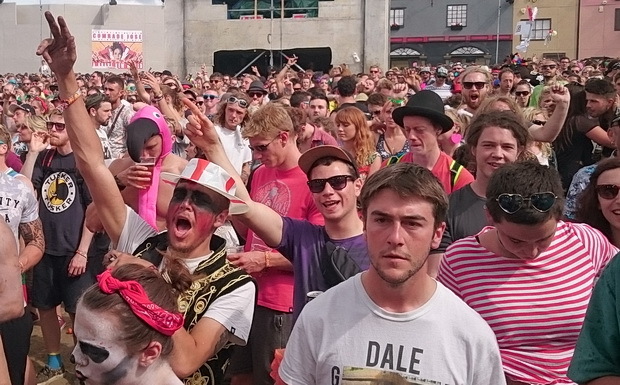 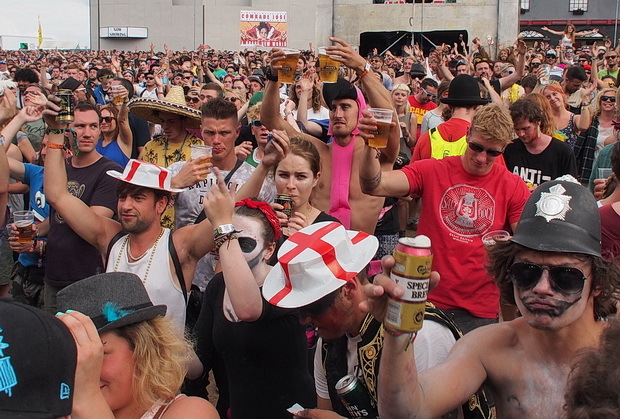 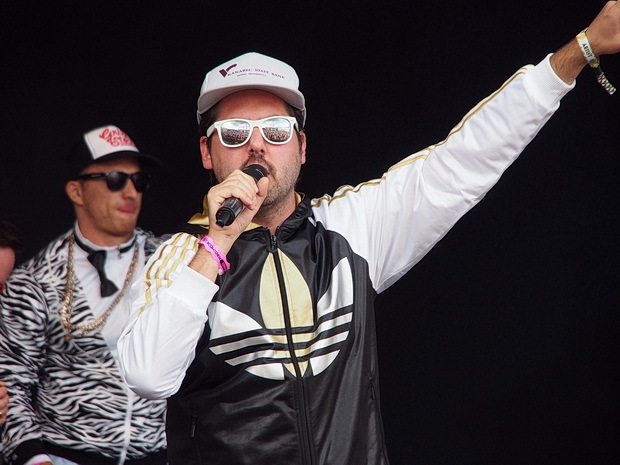 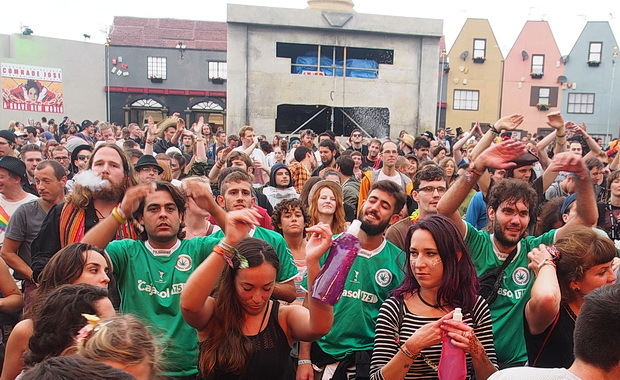 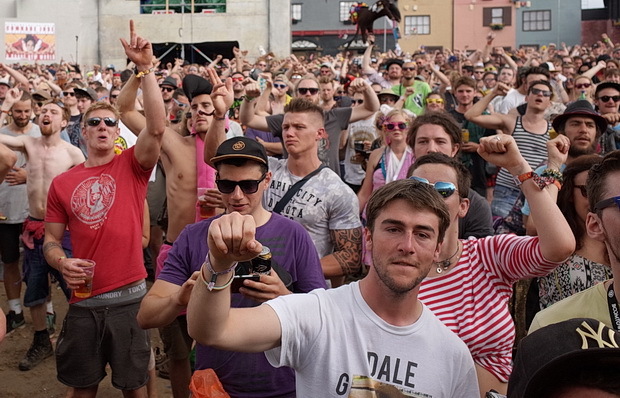 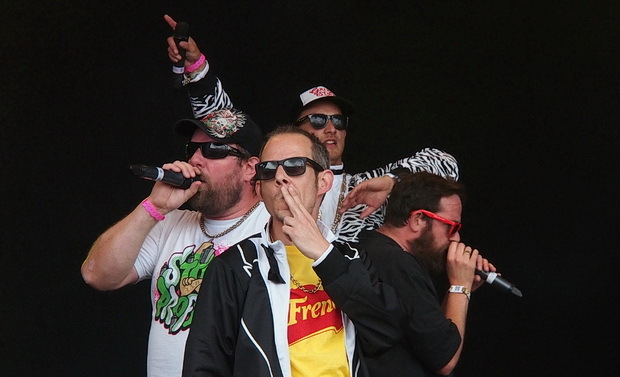 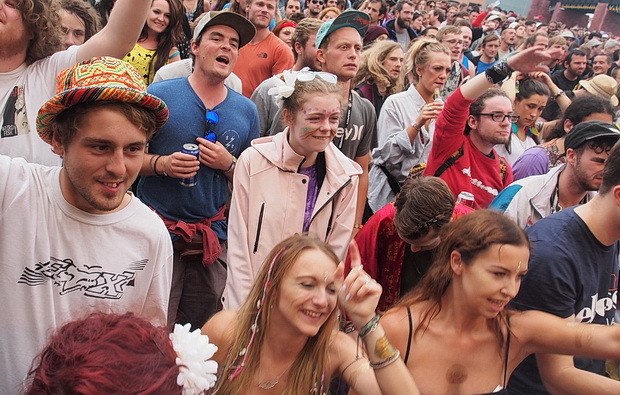 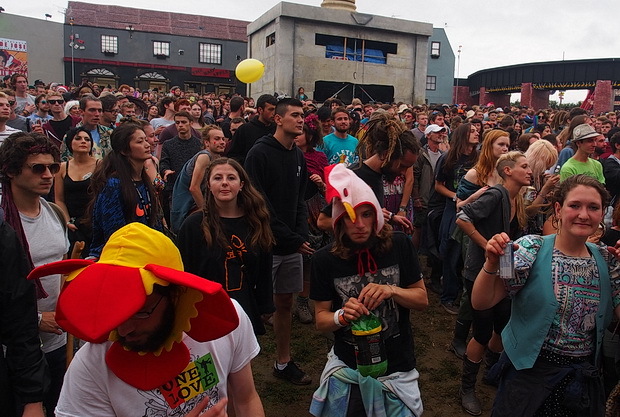 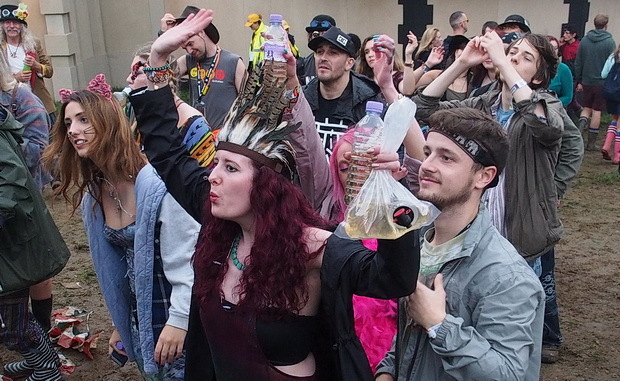 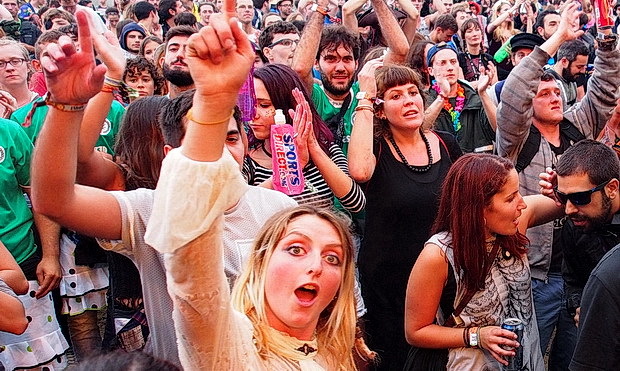 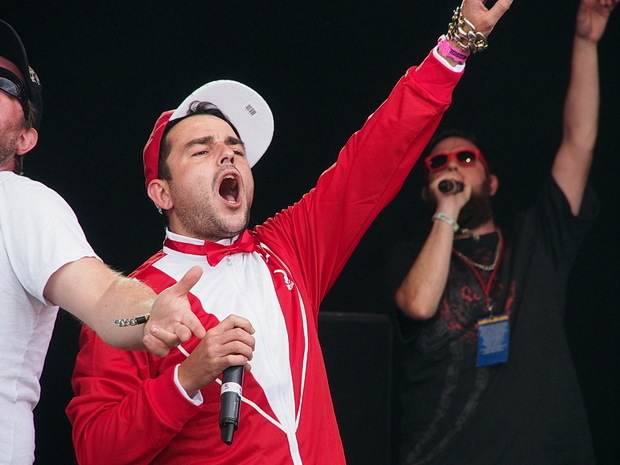 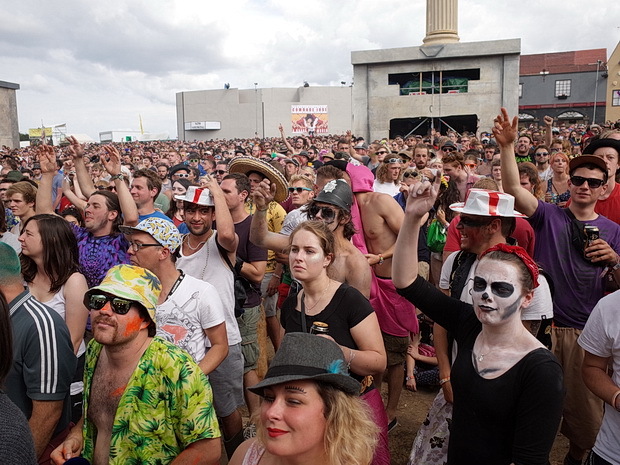 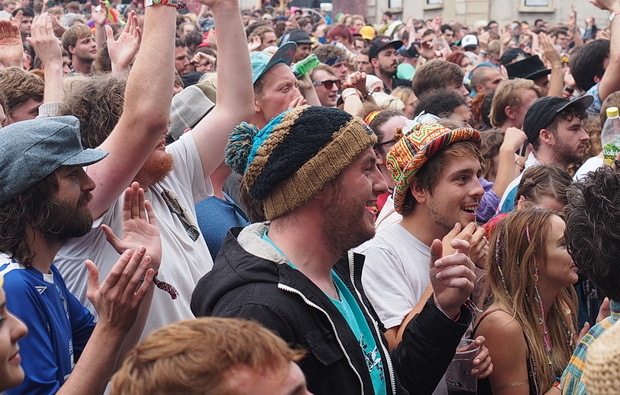 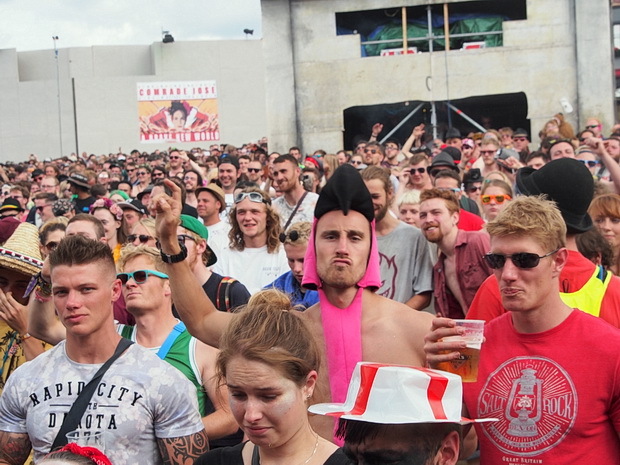 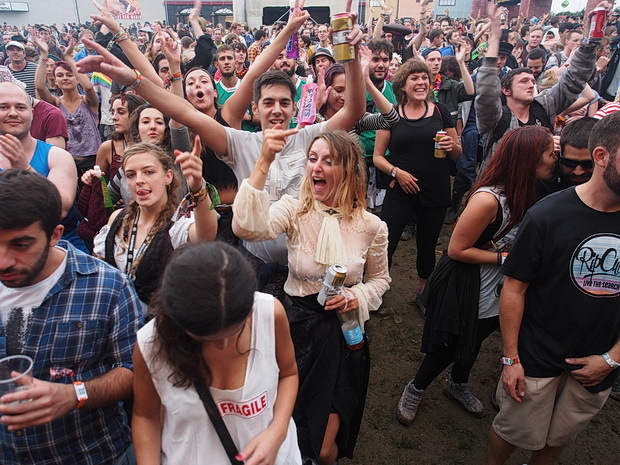 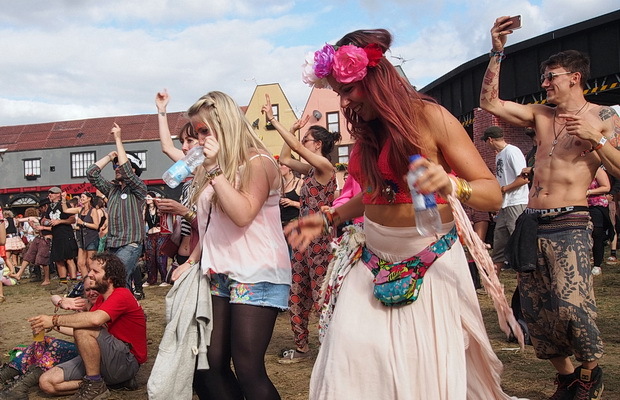 Continuing our comprehensive coverage of this year’s wonderful Boomtown Festival, here’s a selection of photos taken around the town centre, with lots of crowd shots of people watching Goldie Looking Chain, La Pegatina, The Beat and more. 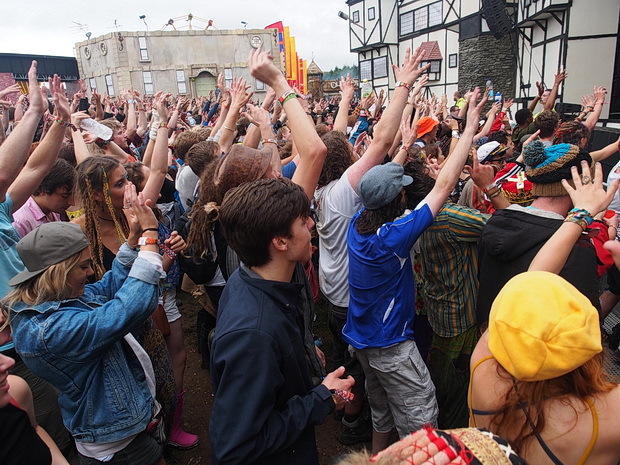 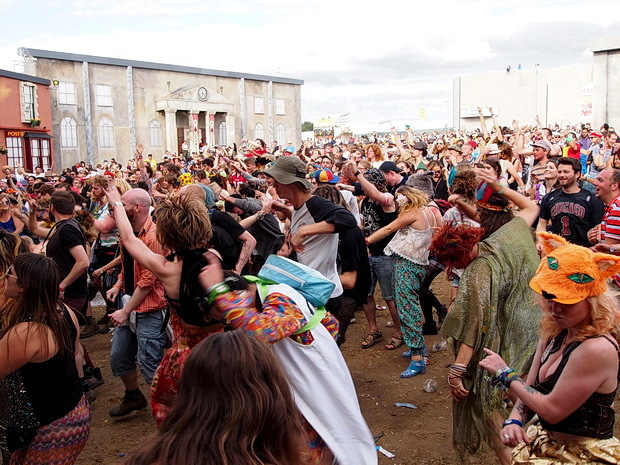 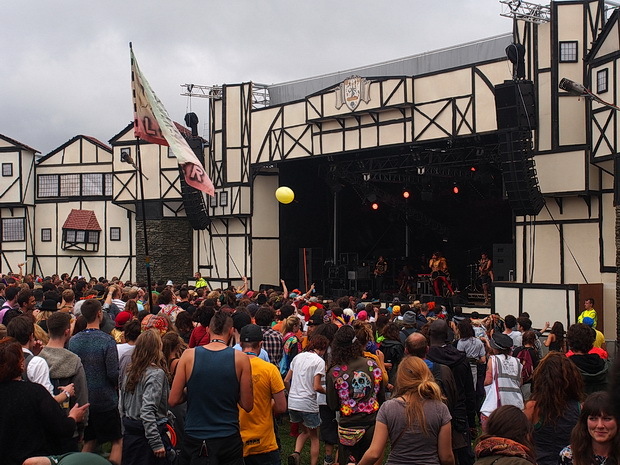 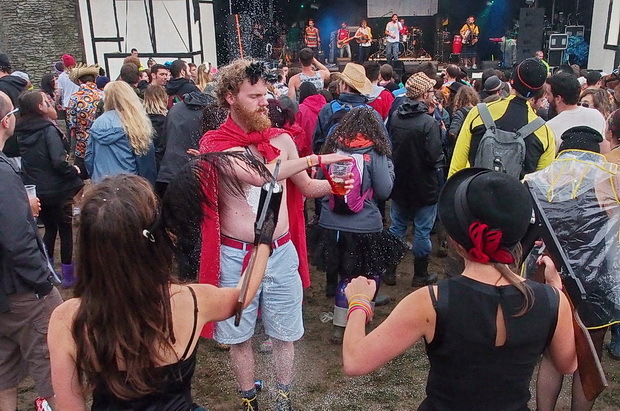 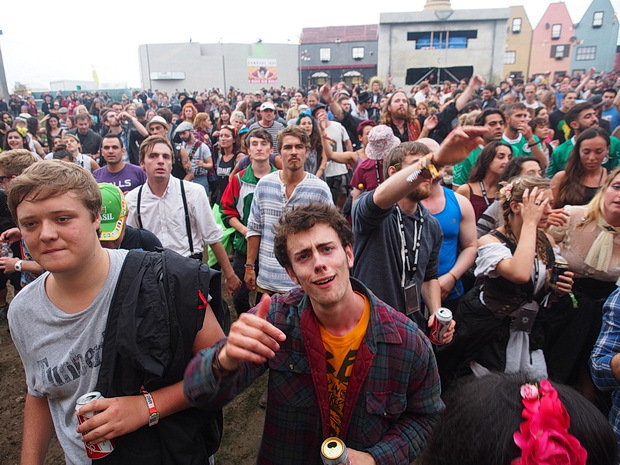 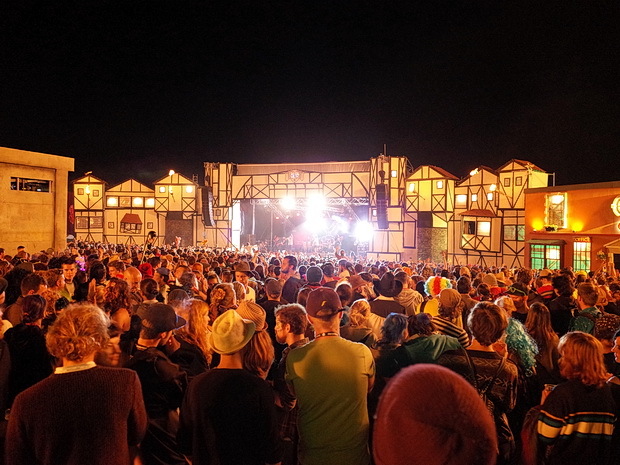 The main stage – a quasi-Tudor Ye Olde Englande construction – was a splendid thing to behold. 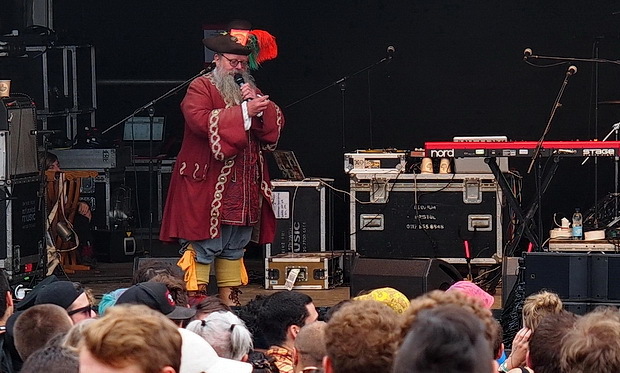 As seen at many an Endorse-It festival, the town crier was MCing the main stage. 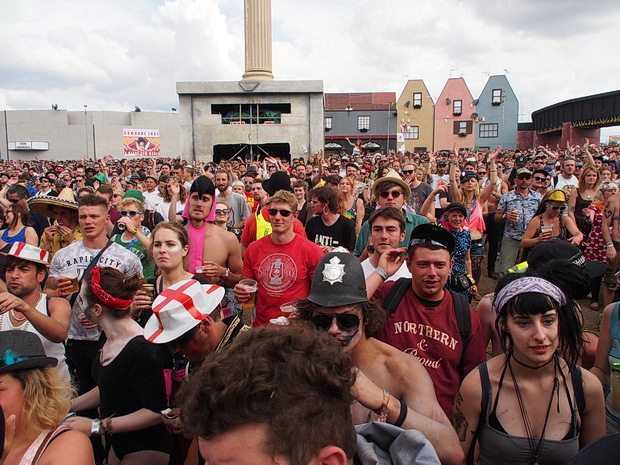 Here’s some crowd scenes from around the square. 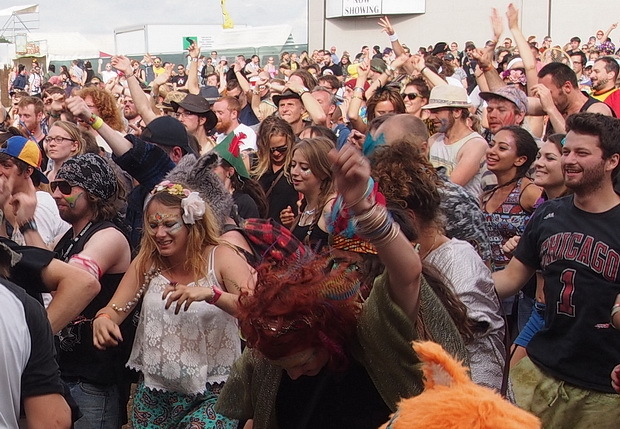 Goldie Looking Chain attracted one of the biggest crowds of the weekend. 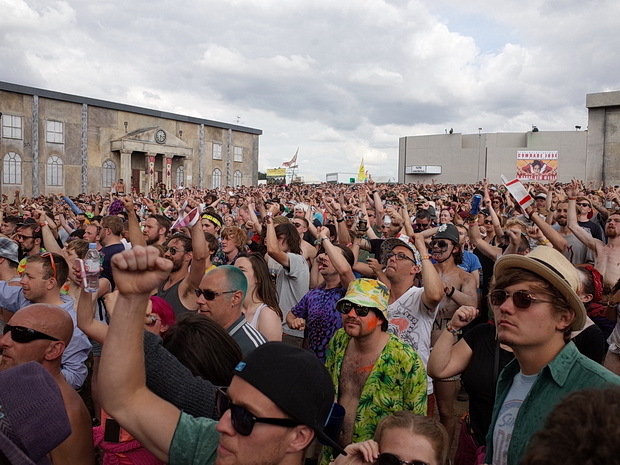 Gogol Bordello played the final set on the Town Hall stage on Sunday night.